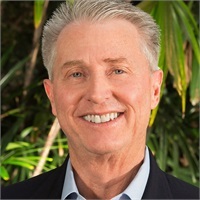 David Penniall | Penniall & Associates, Inc.
David began his financial services career in 1982 following an undergraduate degree from UCLA and seven years of professional baseball. David earned licenses in securities, insurance, real estate and then in 1985, his CERTIFIED FINANCIAL PLANNER™ professional certification. In 1997, David started Penniall & Associates, where he has provided comprehensive financial services to a wide range of individuals, corporations, small businesses, self-employed persons and professional athletes.